Good morning. This is Doug Chabot with the Gallatin National Forest Avalanche Forecast issued on Thursday, January 17th at 7:00 a.m. Today’s forecast is sponsored by World Boards and Spark R&D. This forecast does not apply to operating ski areas. At 5 a.m. the southern mountains and Lionhead area have 1-2” of new snow and Cooke City has 3”. Temperatures are near 20F and winds are southwest at 10-20 mph with gusts of 35 mph. Today will be cloudy with scattered snowfall, temperatures in the upper 20s and similar winds. By morning, 4-6” will fall in the southern mountains, including Cooke City, and 2-4” everywhere else. The mountains south of Big Sky to West Yellowstone have received 2-4” of snow in the last 36 hours. The snowpack here is weak and consists mostly of sugary facets. You do not need to dig a snowpit to find them, just step off your skis or sled and you’ll sink knee deep to the ground in them. On slopes where this layer is capped by a slab of cohesive snow, avalanches are still possible. 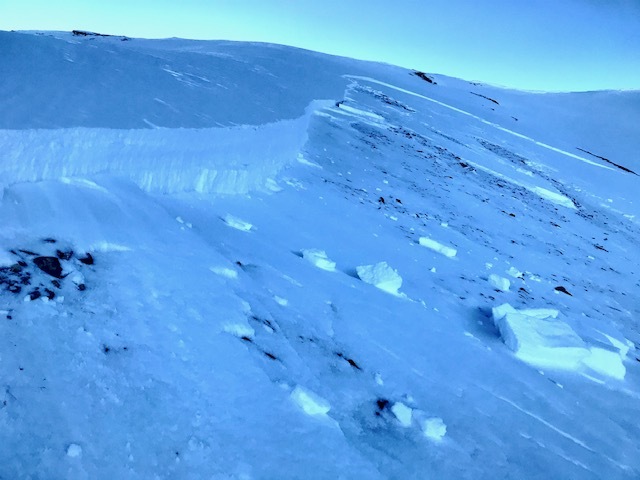 In Taylor Fork, both skiers (photo, details) and sledders (photo, details) triggered 2-3 foot deep avalanches on Sunday and Monday when wind slabs broke on these facets. I visited on Tuesday and found this same poor snow structure in my snowpits (video). The new snow may not have added much weight to the snowpack, but it did bury a new weak layer of surface hoar. 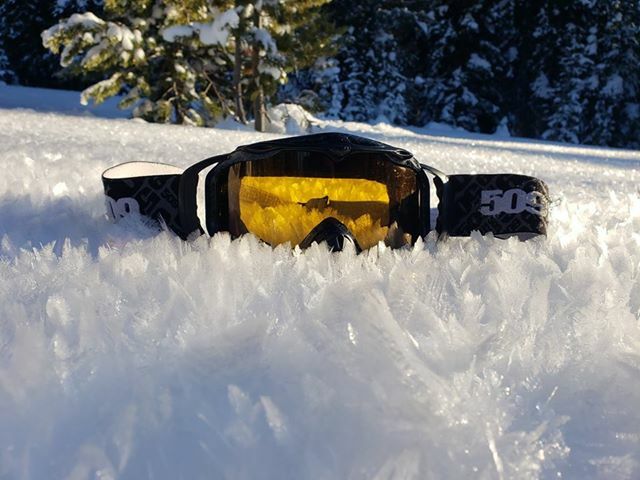 In Teepee Basin sledders found these feathery crystals on many slopes (photo). In Taylor Fork the winds scoured high elevation slopes (photo), but I’m sure the surface hoar survived in some areas. We’ll be looking for it and tracking its locations since it may become a problem. For today, the avalanche danger is rated MODERATE. The northern mountains and Cooke City area have slopes that are weak, but stable. Snowpacks less than 3 feet deep consist of weak facets, as Eric found north of Big Sky on Saturday (video) and Ian and Alex saw on Buck Ridge on Friday (photo, video). Yet overall, it is difficult to trigger avalanches and these mountains are mostly stable. Until we get a substantial amount of new snow, triggering slides is unlikely. The words “mostly stable” are a qualifier since there is still lingering potential to trigger an avalanche. 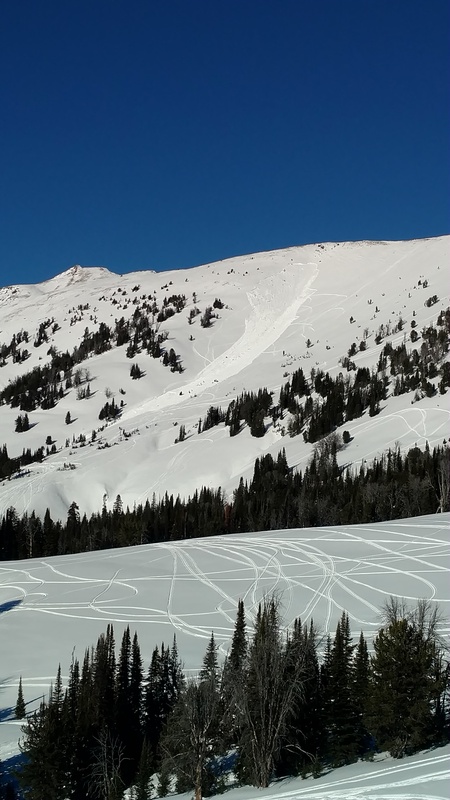 Skiers in Hyalite got a wind slab to break clean in a stability test and another group found a small wind slab had cracked. These signs of instability are isolated and small, similar to an avalanche a person may trigger. These conditions remind me of accidents when climbers or skiers have been swept off their feet by tiny slides (Beehive Peak, 2015). 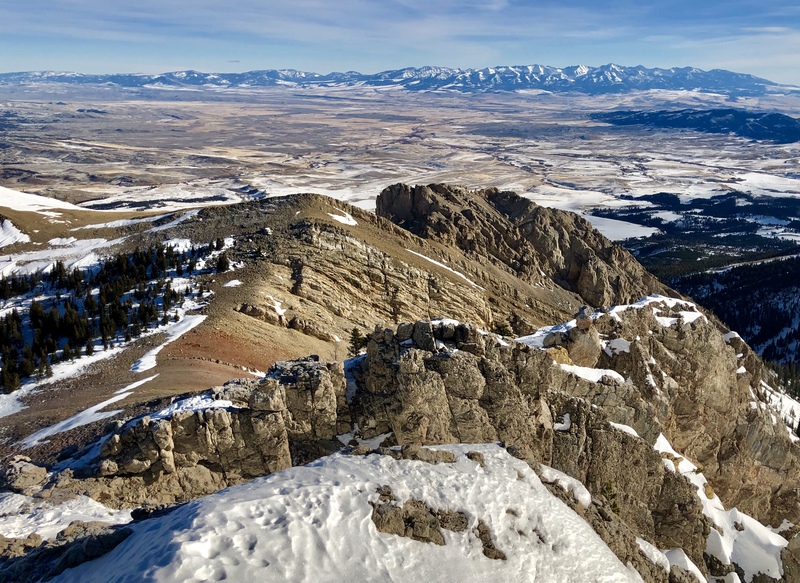 Eric toured into Frazier Basin in the northern Bridger Range yesterday and found stable snow and wind stripped terrain (photo, video). He also cautioned us to be on the lookout for instability. For today, avalanches are unlikely, but not impossible, and the danger is rated LOW. January 22, Pint Night at Beehive Brewery, 4-8 p.m. A fundraiser for the Darren Johnson Avalanche Education Memorial Fund. The government shutdown and its effects on USFS avalanche centers is highlighted in this article in Powder Magazine. Sage Peak and Skyline Ridge have been wind scoured. Conditions are firm and wind hammered in the northern Bridgers.